Following the tremendous success of the Spring 2018 Lilly Pulitzer for Pottery Barn collaboration, the two companies have again teamed up to release a new collection of outdoor entertaining essentials, bedding, furniture, nursery necessities, towels, decorative accessories, lighting, and more. 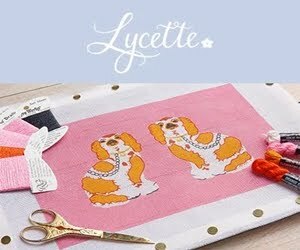 Drawing inspiration from Lilly Pulitzer’s year-round tropical palette, the Lilly Pulitzer for Pottery Barn, Lilly Pulitzer for Pottery Barn Kids, and Lilly Pulitzer for PBteen collections unveil more than 45 new signature Lilly hand-painted prints in celebration of Lilly Pulitzer’s 60th anniversary. The latest assortment offers endless ways for the entire family to embrace Lilly’s Palm Beach style at home. This collaboration is certain to put you in sunshine state of mind! The coveted collection features more than 100 Palm Beach inspired pieces and is available via Lilly Pulitzer for Pottery Barn, Lilly Pulitzer for Pottery Barn Kids, and Lilly Pulitzer for PBteen. Coordinating clothing and accessories can be found via Lilly Pulitzer. Marvy! Pink and Green should always be seen! Wheather it’s clothing or dacor Lilly always keeps us in a delightful place!